One day Teller Grey is training to be a Marine snipe. The next day he is an orphan, the guardian of nine children ages one to thirteen. His military career is gone. His future is uncertain. While struggling to deal with his grief, learning to parent his siblings and cousins, and wondering if he will ever have the time or energy to have a personal life, Teller's already complicated life becomes overwhelming when complaints and threats against his family turn into vandalism on his property and attacks against him and his kids. To protect those he loves, Teller must use everything he learned in three years as a Marine. Every thump of dirt against the coffins was a knife through his heart. Every sob from the children around him was the death of his past and the birth of his future. Corporal Grey reporting as ordered. There’s a phone call for you, Corporal. 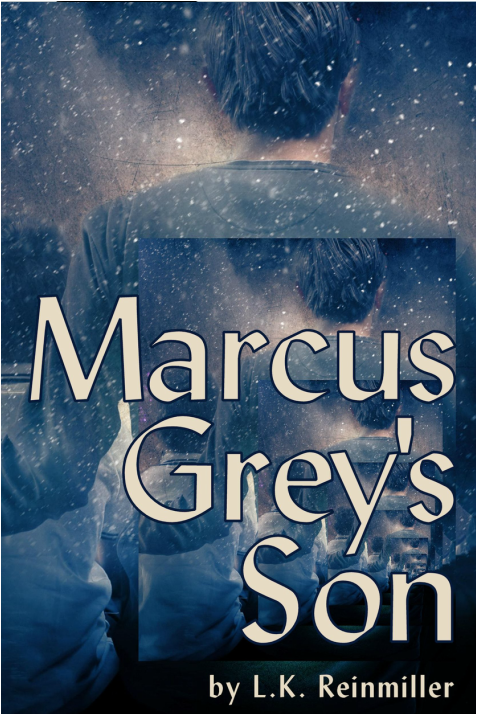 Holding his youngest cousin, Sammy, and his youngest brother, Peter, Teller Grey turned away from the four open wounds in the soil and walked slowly back to the rented, twelve-passenger van. The seven other children trailed after him, six clinging to his coat sleeves or pant legs as if he would disappear if they didn’t hold on tightly. And why wouldn’t they feel that way, Teller thought, as he buckled children into car seats and made sure seatbelts were fastened. Their whole world had been stripped away by a jack-knifing semi. In an explosion of rubber and screech of metal the ten children had gone from beloved sons and daughters to orphans. Mr. Engels was the one who contacted him at the USMC Sniper School at Kaneohe Bay, Hawaii to tell him about the accident that killed his parents and his aunt and uncle. The accident that changed his future. Mr. Engels was the one who asked him if he was needed at home more than the Marines needed another sniper. More than he needed the Marines. Mr. Engels had been right about Teller being needed at home. He wasn’t sure yet about how much he needed the Marines, not that it mattered now. Teller nodded. “Sure. What time?” They agreed on nine o’clock. James Engels moved away then stopped and looked back. “Come alone. We need to discuss some things privately.” Then he was gone, leaving Teller curious and apprehensive. His thirteen-year-old brother, Jackson, looked at him sullenly. “I don’t know, Jacks. Guess I’ll find out.” Jackson jerked his angry eyes toward the window, and Teller slid the side-door shut. Something else he’d have to do. Buy a van big enough for ten people including three car seats. He sighed and rubbed his eyes. So many things to do, so many things to remember, he’d hardly had time to process the huge hole left in his life by his dead parents and his dead dreams. The post-funeral gathering was held in the basement of the church both Grey families attended. The church Teller had grown up in. The church where the funeral for the mother he didn’t remember was held when Teller was barely five days old. Teller parked the van beside Bill and Marie Solomon’s PT Cruiser and reversed the laborious process of removing nine children from the vehicle. He supposed he would eventually get faster getting the two four-year-olds and the one-year-old out of their car seats, but right now he felt clumsy and inefficient with the buckles and straps. Not a feeling he was accustomed to. Teller paired the kids up so each four-year-old was holding hands with one of the older kids before he picked up the baby and herded his charges toward the open basement door. He could hear the clinking of silverware and quiet laughter drifting out into the hot July afternoon. He smiled, glad for the laughter. The last thing the adults they were mourning would have wanted was gloom and doom. Marcus and Lucas, Teller’s father and uncle, were the worst practical jokers in the history of practical jokes. April first was their birthday and favorite holiday, which they celebrated each year with a mega-prank. Teller’s last year at home, the two men had used miles of plastic wrap to secure their children and spouses into bed while they slept, leaving only their heads exposed. And his mom and aunt were the happiest people he knew. Yes, the laughter was good, for their memories and for the children left behind. Even at twenty, he desperately needed to remember his family as they had been. When the children entered, all the laughter stopped. The younger ones, even Jacks who had been angry and sullen since Teller got home, huddled around their big brother like he could keep the nightmares at bay. God give me strength, he prayed. He could barely keep his own nightmares away. How was he supposed to help his brothers and sisters and cousins? Read Day Zero through Day 12 with Amazon's free Look Inside feature.